At Nagy Family Dental Group, we see you as part of our family, and our team takes the time to help ease any anxieties you might have when you visit. However, some patients become extremely nervous at the thought of dental procedures, while others struggle with physical conditions, such as pronounced gag reflexes, that can make traditional dental examinations uncomfortable. 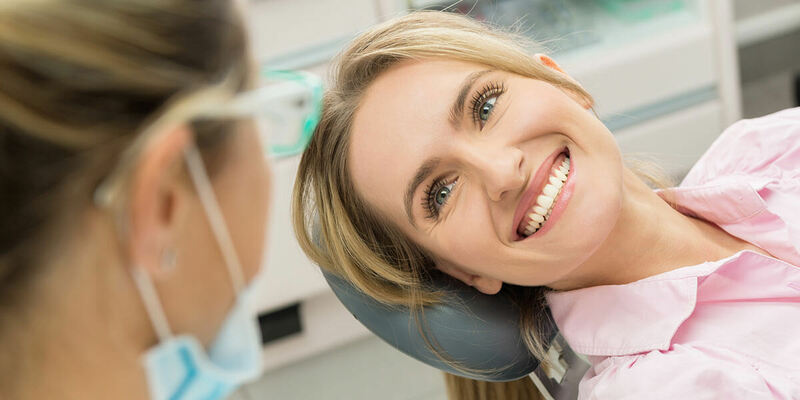 If you have trouble with dental treatment, we offer a number of safe sedation-dentistry options to calm your nerves and help ensure your visit is comfortable and anxiety-free. In basic terms, sedation dentistry involves using a sedative medication to quell your nerves and help you relax before we begin a procedure. While it may make you feel sleepy, the intention is to help you relax and make your treatment more enjoyable. Sedation Dentistry will simply relax your body and help you feel more tranquil. Popularly known as “laughing gas,” nitrous oxide is a gentle sedative that you inhale through a mask throughout a dental procedure. The gas is fast-acting, helping you feel more peaceful, while still allowing you to interact with the dentist. Your body also recovers from nitrous oxide quickly. In most cases, you can even drive yourself home after your appointment. Nitrous oxide is a good choice if you have mild to moderate anxieties about dental visits. As its name indicates, oral sedation involves taking a medication by mouth. It is stronger than nitrous oxide, and while you can remain awake, you will likely be sleepier than if you use an inhalation sedative. Additionally, the effects of most oral sedatives last longer than nitrous oxide. As a result, you will need someone to drive you home after your procedure if you elect an oral sedative. Oral sedation is typically limited to children. The strongest of our sedative methods, intravenous sedation is fast-acting. And because it’s delivered through an IV drip, it can be closely regulated to ensure you remain completely calm and comfortable throughout your procedure. In fact, although you’ll remain awake, you’ll likely remember little-to-nothing about your treatment. While everyone recovers at a different rate from IV sedation, you will need someone to drive you home from your visit, and we recommend that you don’t drive or operate heavy machinery for 24 hours afterward. IV sedation is an excellent option if you experience severe dental anxiety, and we use it regularly for more intensive procedures. Dental sedation is a safe and effective method both to calm patients with dental anxiety and to help relax those undergoing more complex dental treatment. However, it’s important that you use the right sedation option for your needs. When you visit us, we’ll discuss your sedation options and recommend the appropriate method for your visit. As one of the only family dentists in the Northern Ohio area licensed to practice safe sedation dentistry, we are experienced in a variety of sedation methods to ensure that your visit goes as smoothly and is anxiety-free. At Nagy Family Dental Group, we can discuss your concerns and provide the appropriate sedation option for you. If you have struggled with dental anxieties, call us and let us help.